The HTC One XL is simply an amazing device with super awesome performance & one of the greatest android experience till date & can even rival & at times even beat the Samsung Galaxy S3 in many performance fronts if not all. This is one of the better HTC products of all time. Experience this yourself & it will leave you spellbound for sure. Great audio quality & clarity with the best-in-class HTC BeatsAudio. This is easily the most sought after USP feature in most of the HTC devices. The device has a good battery backup of 1800mAh. The battery type used in this device is Lithium Polymer instead of Lithium ion & this results in more power output from the battery compared to the same intensity Lithiun ion battery. The juice we get out of the battery of this device is more than enough for a day of normal to occasional heavy usage. Really good after sales support & resale value. Overall, this is simply an awesome & a must-have android device with superior features & powerful performance which comes out of the great hardware & software the phone is compiled of. One can own this device at an affordable price of 300-350 US$ or 18000-22000 INR(depending on the 16 & 32GB model versions). At this price point it is hard to beat such a high end smartphone like the HTC One XL & this might work to the company's advantage in terms of sales unless a better device from a reputed brand comes out to the market to compete with the One XL which, as of now, seems unlikely looking at the ever-rising price trends the company's are opting for. So, good luck HTC... keep it up with the hard work ypu have put in so far. 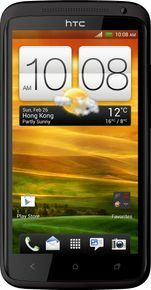 With such quality offerings from HTC better days can definitely be sensed ahead. The device comes without a memory expansion card slot. Though, the 16GB & 32GB inbuilt versions of the device should be enough for most of the folks out there if not all. Although, the 1800mAH of battery juice is sufficient for a day of normal to occasional heavy usage on all supported networks except LTE, but if the device is connected to the LTE network consistently for long hours then one might not get a full day of web browsing usage as LTE is well known to consume battery juice like hell. Also, only few cuntries till date support LTE networks, so this would not be a problem for those living in a non-LTE nation or those who feel satisfied with 3G speeds as they can happily use the phone on 2G & the sufficiently fast 3G networks.